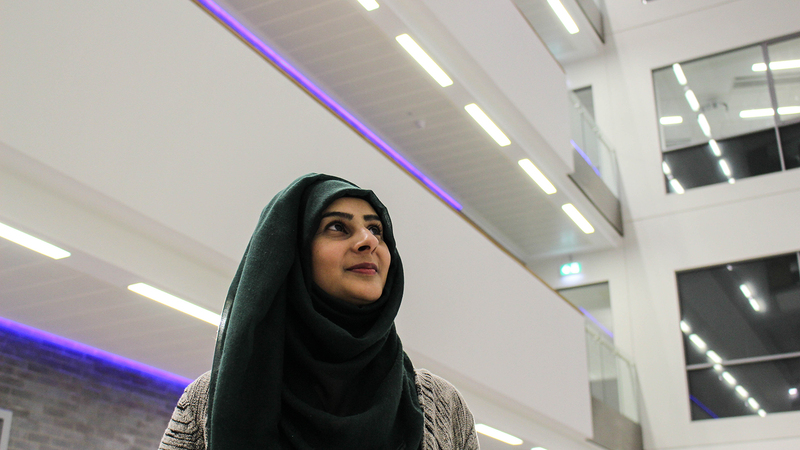 Sadaf Kahn is in her final year of her PhD in Criminology at our School of Health and Society. It was a real privilege to sit down and learn about her extraordinary career and life so far. We talked about why she has chosen to specialise and study in her field, and how exciting it is that her career choices are so broad. 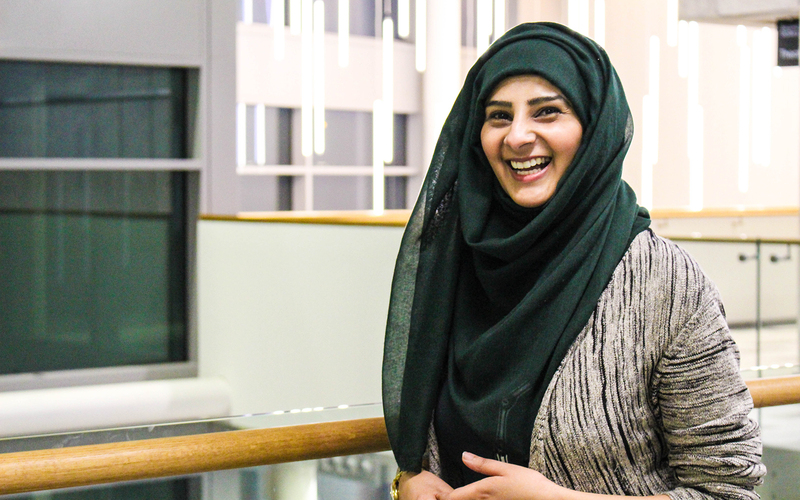 Sadaf spoke of the benefits a PhD has brought to her life since making the decision almost three years ago. What attracted you to studying criminology at Salford and How do you think choosing Salford has benefited you? A PhD was something I was always interested in. I studied my undergraduate at another university, which was also in Criminology, but I decided to change course for my master’s, to move away from criminology into ‘Information Systems’. It wasn’t for me though, so for my PhD I came back to Criminology. I also wanted to look into honour killing, and why some people within the Pakistani community approve of this, and the different perspectives on it. I feel I’ve had more support at Salford than I had at my previous university, and the contact time with my mentors has been really valuable. What has the student experience been like for you at Salford? As a PhD student, I do also work as well, so I only spend one day a week in uni. I must admit, my experience has been great so far. I’ve always got a comfortable and quiet work space, where I can get my head down and slam out a couple of thousand words. What has been your biggest challenge so far with your PhD? Networking is quite a new thing for me. For my first and second year of my PhD, it was fine for me to find a secluded place to work, and like I say, get my head down. Since being in my third year, my lecturers have told me that this is when I should be networking, which is quite exciting. Other than that, I would say it’s the little things. I can happily write out thousands of words, but I don’t have a definitive PhD title just yet! How will this PhD benefit your career and where could it take you? Well I work at the General Medical Council, and originally I had no intention of moving from there. However, because I’ve enjoyed my research so much, I would now like to go into something research based. This is where I have quite a lot of pathways, and while I’m not sure which one to take, I know I have a lot of opportunity. I feel that lecturing isn’t something I’d look into, as I’m not a big speaker, but I’m looking at going into the research office here at the uni. I’m so lucky that I have so much choice. Speak to other people about your work. Sometimes if you keep it bottled up inside you, you can’t see past a certain point in your writing. Talking with others means you’re introduced to different avenues you could explore, and as strange as it sounds, that can really anchor you to an idea you like. Not necessarily just with people who are in the same area as you either, just everybody and anybody!